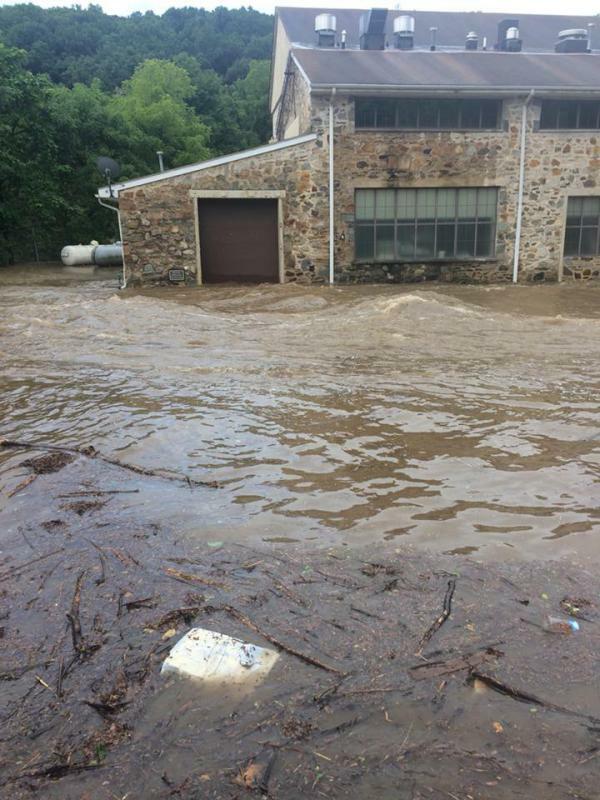 Early this morning, heavy rains moved through Chester County dumping as much as 2 inches of rain an hour. 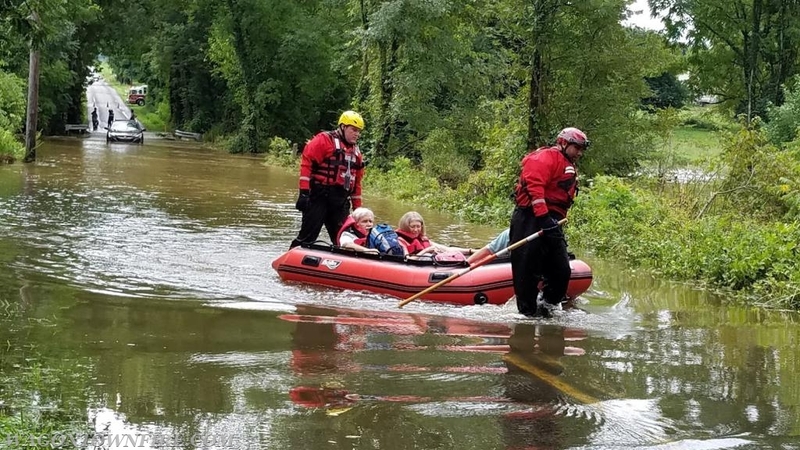 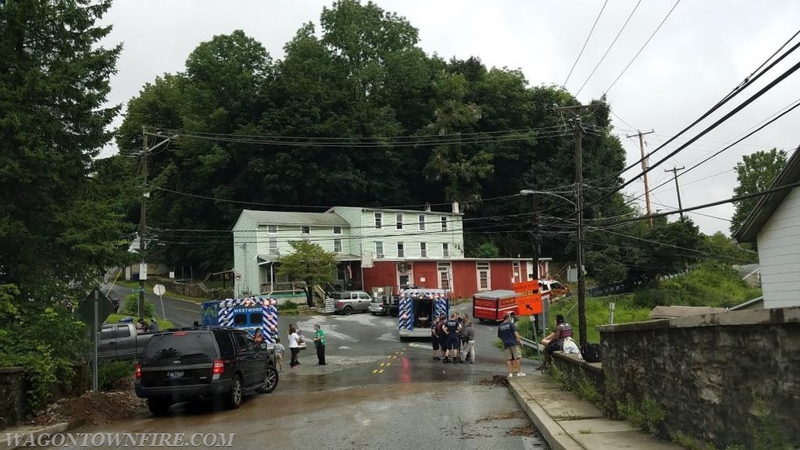 The morning began with the fire police being requested to multiple areas in West Caln due to the roadways flooding and areas of roadway washing out. 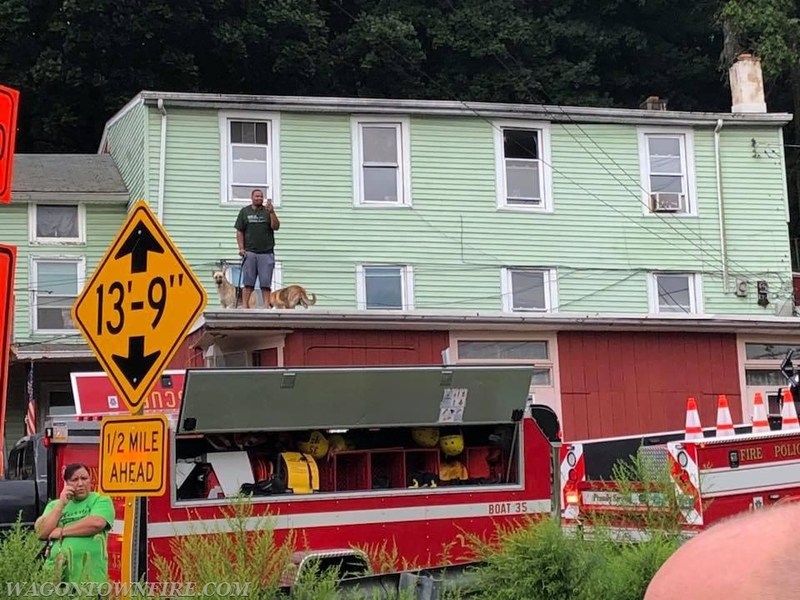 Fire Police made the response and assisted where they could. 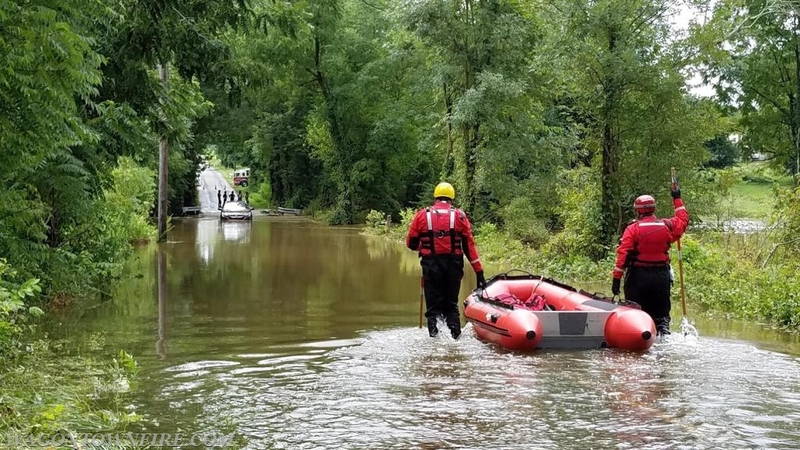 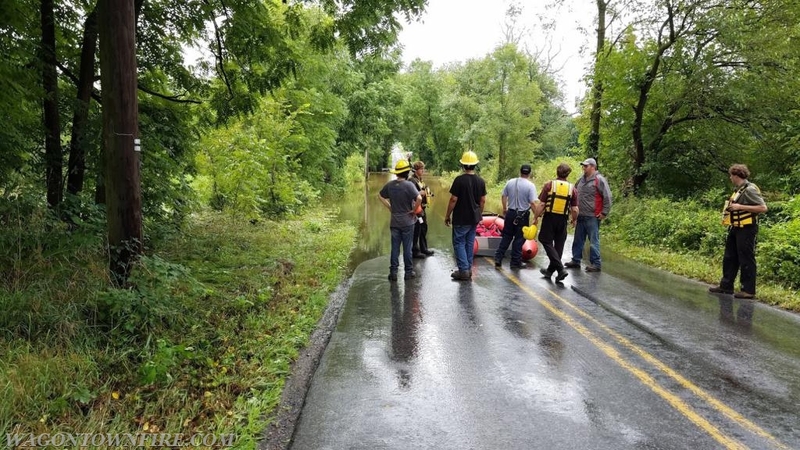 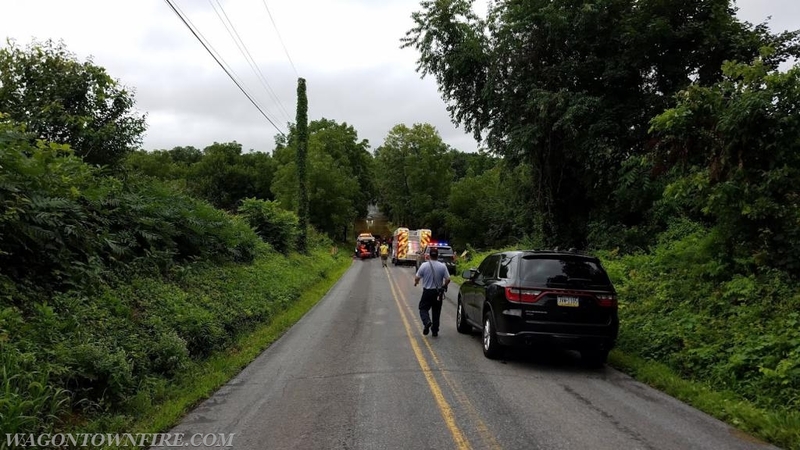 Then at 08:28 hours the first water rescue call came in to assist the East Brandywine Fire Company on Little Washington Rd at N. Guthriesville Road for a vehicle stranded in the water. 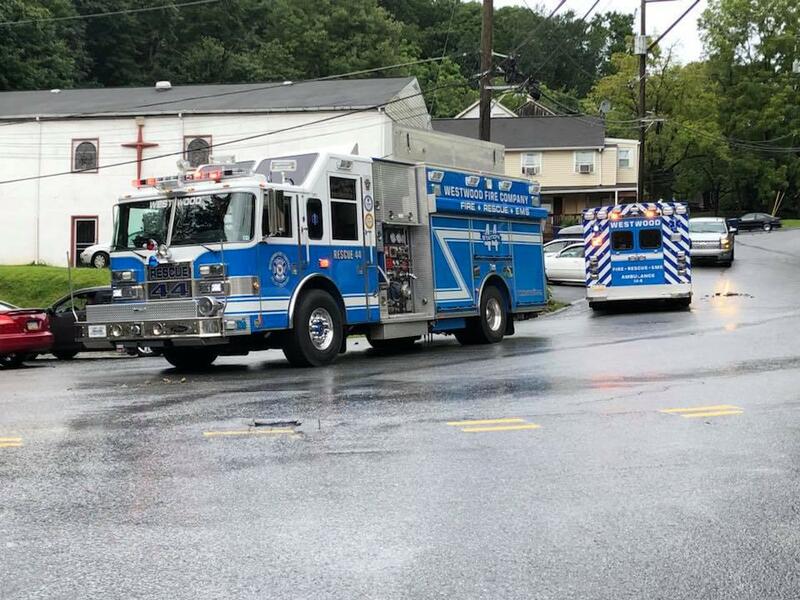 Traffic and Boat 35 made the response as staffing was on station due to the weather, while enroute the boat was recalled from the 49 incident and was re-directed to the South Mount Airy Rd incident. 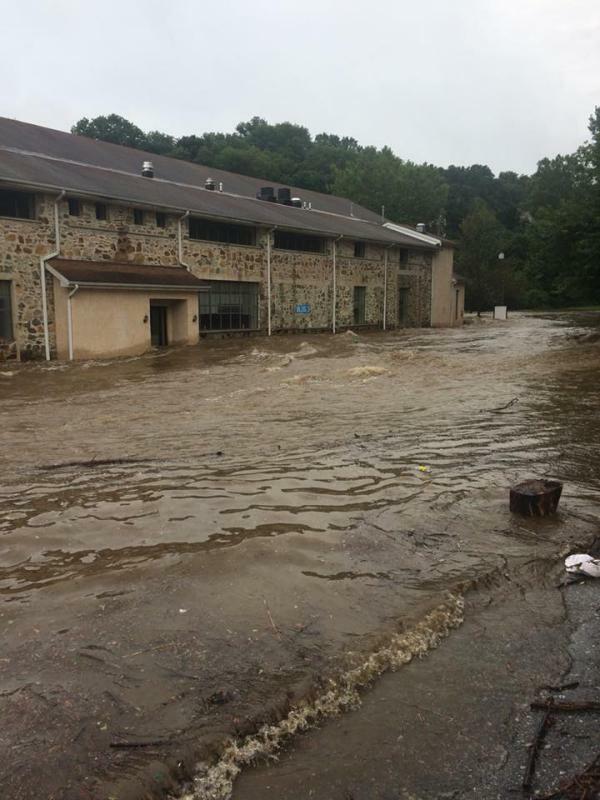 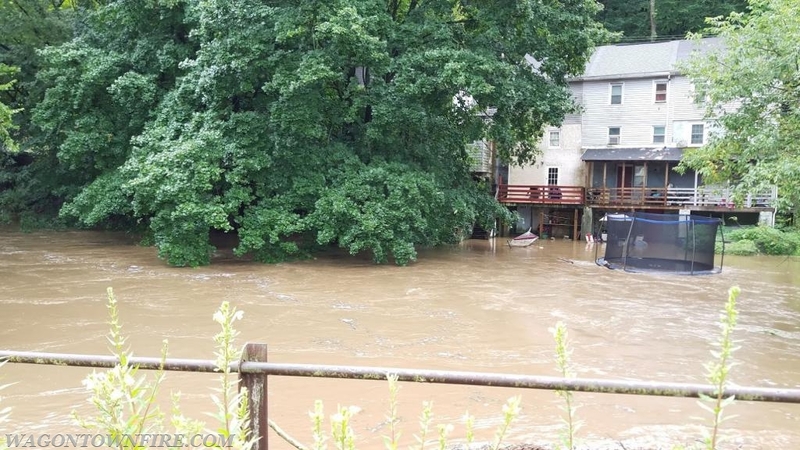 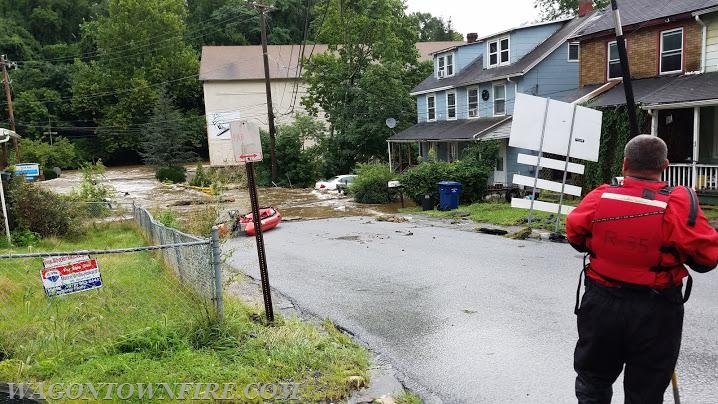 This incident was a flooding situation that was endangering residences, businesses and a day care. 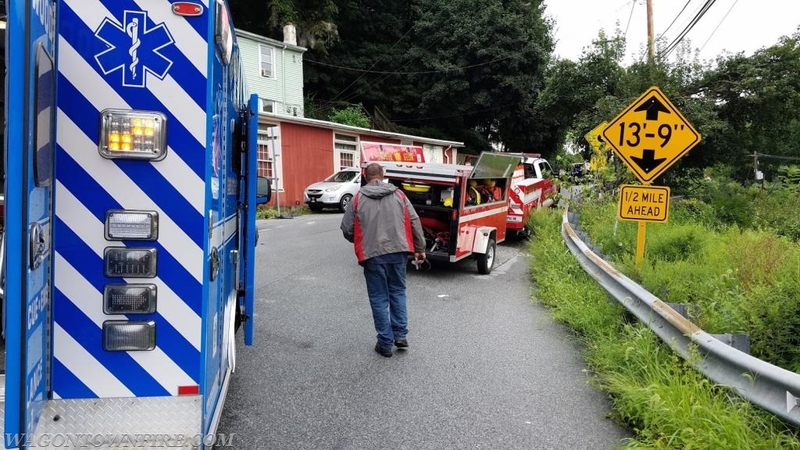 Deputy 44 (Scott) arrived onscene and advised a day care was surrounded by water and crews were going to need to check the residences along Mt. 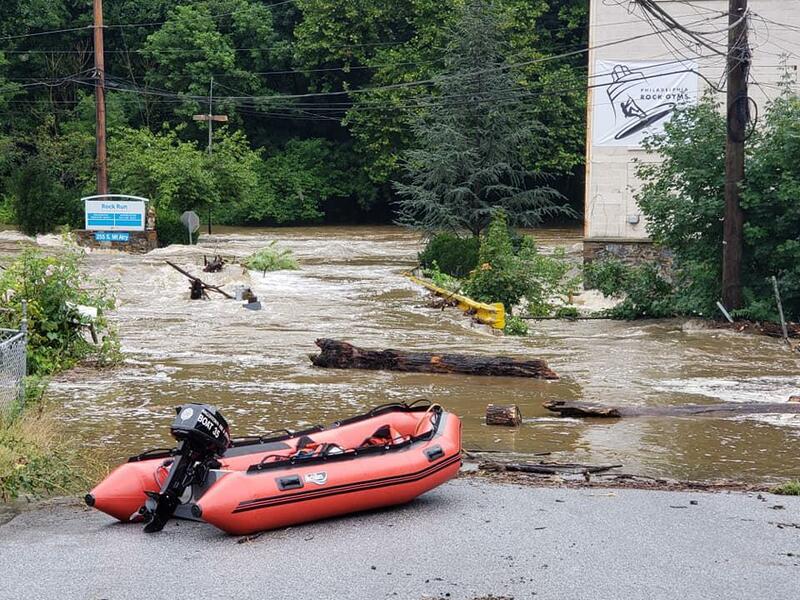 Airy Rd. 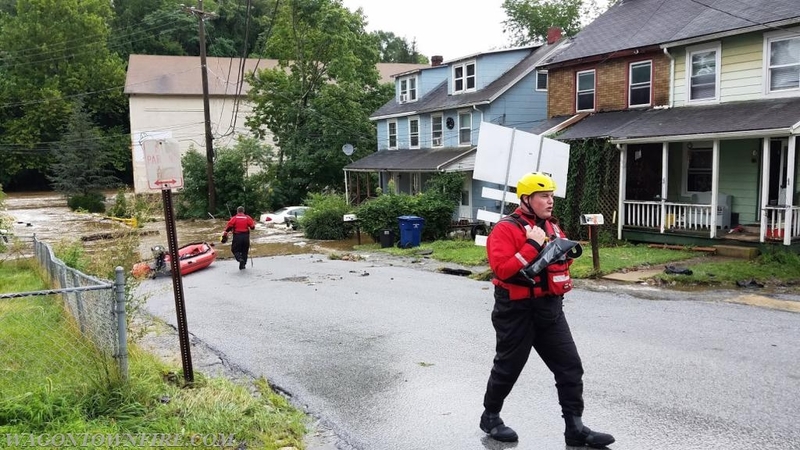 Boat 35 arrived and was given the assignment for the crews to check the residences and they were assisted by 44 members and the crew of Boat 47 who was also dispatched to assist. 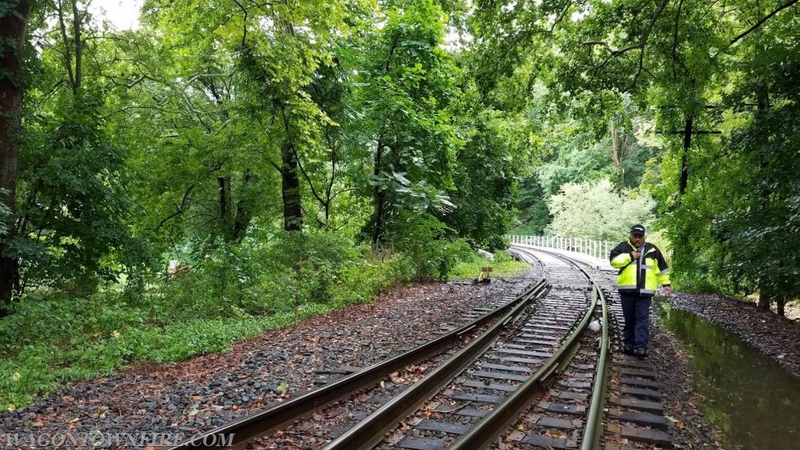 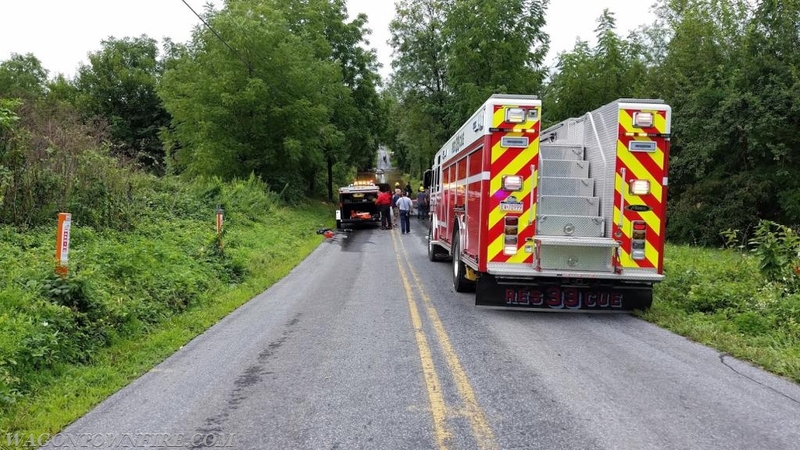 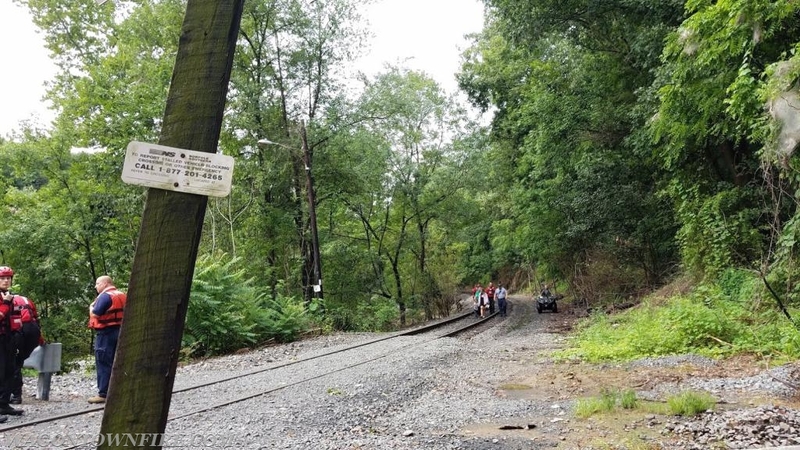 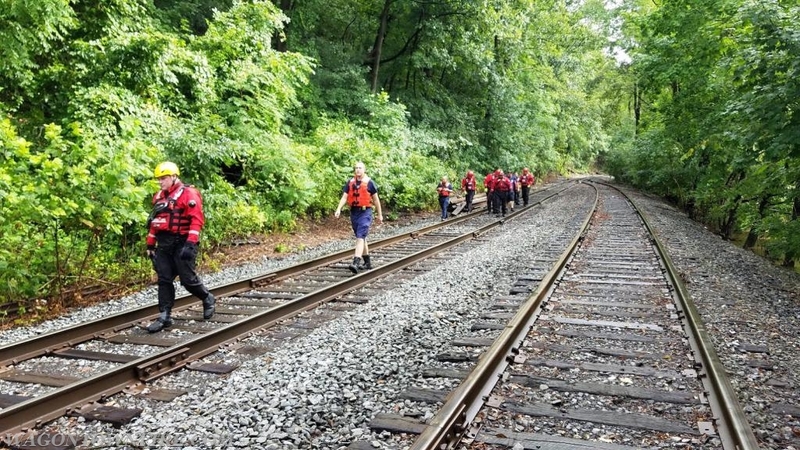 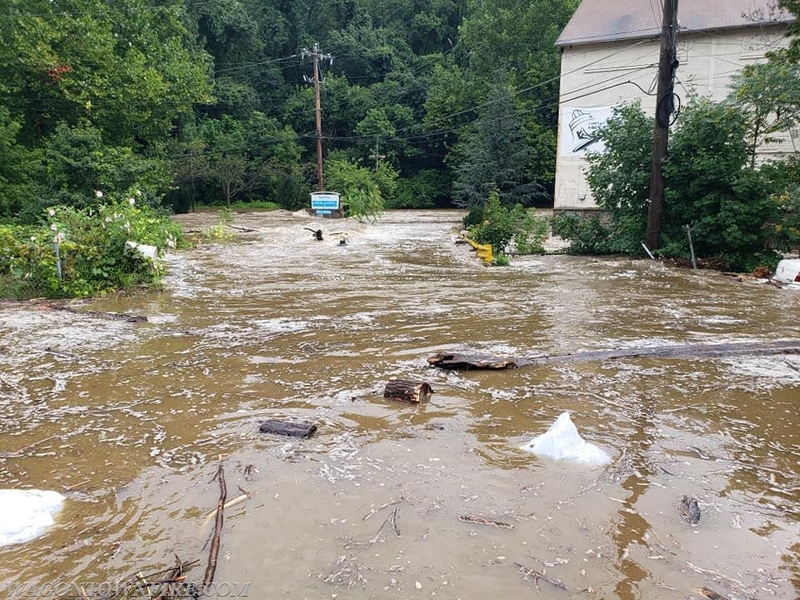 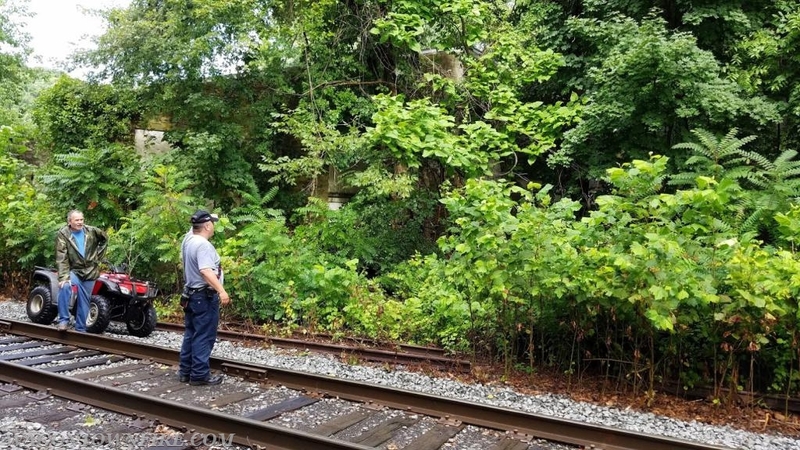 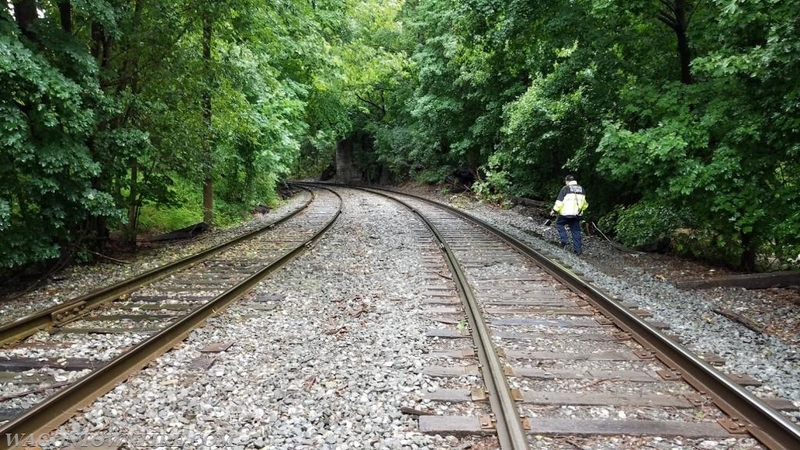 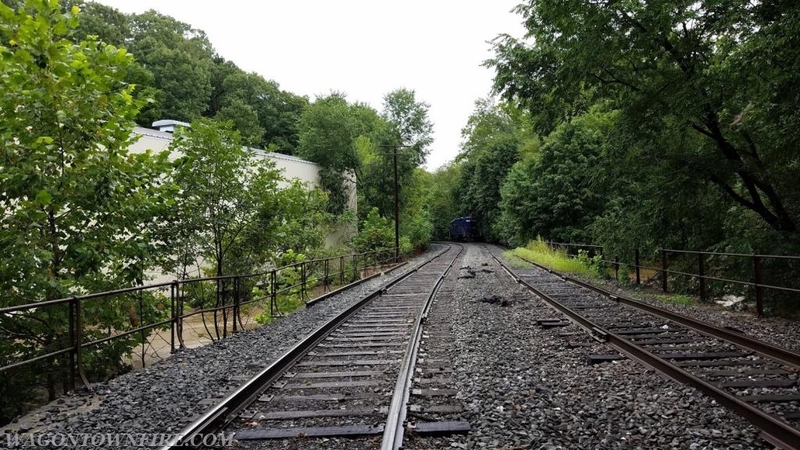 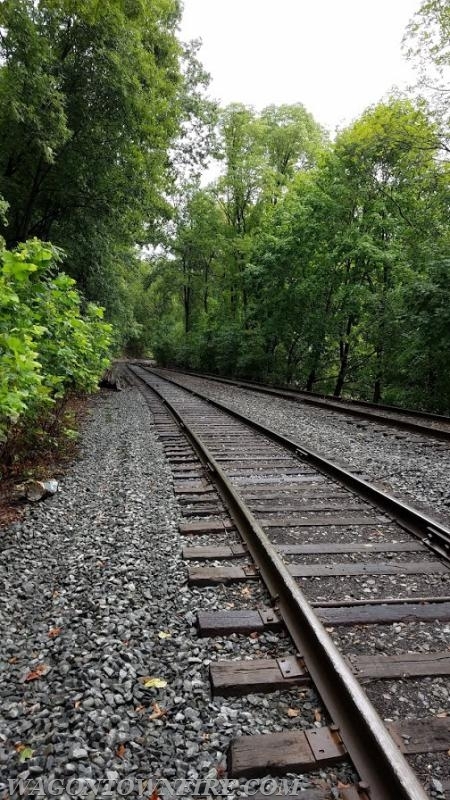 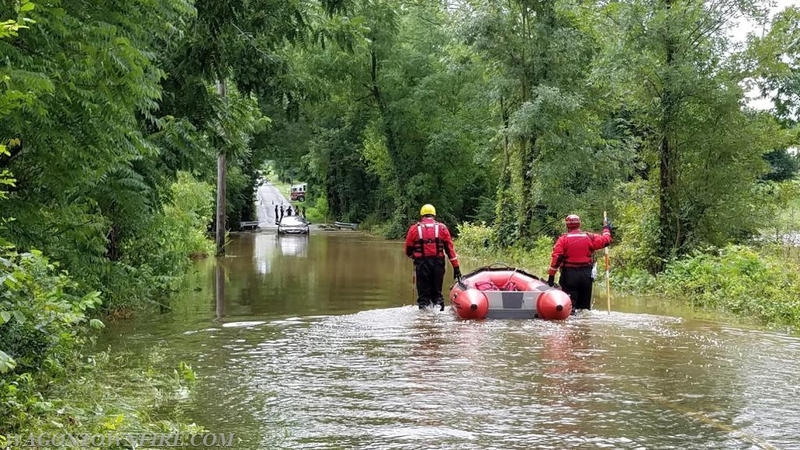 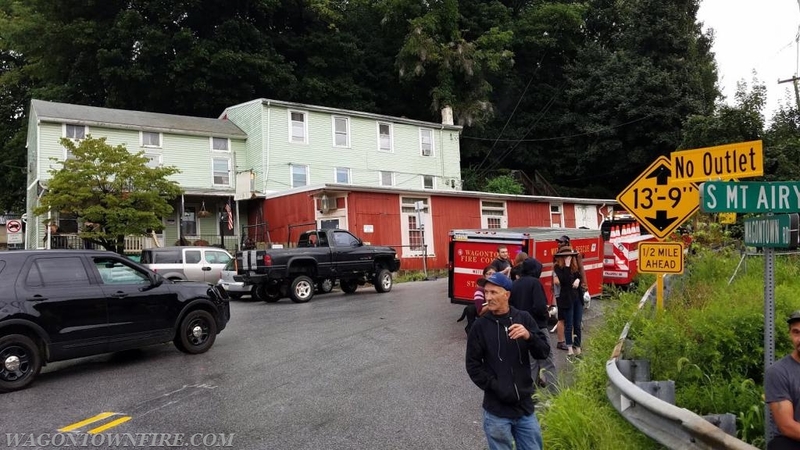 During the incident, access was made to the railroad bed that runs parallel to the Brandywine from Valley Station Road and crews made their way down the tracks and assessed the conditions and possible access to the day care. 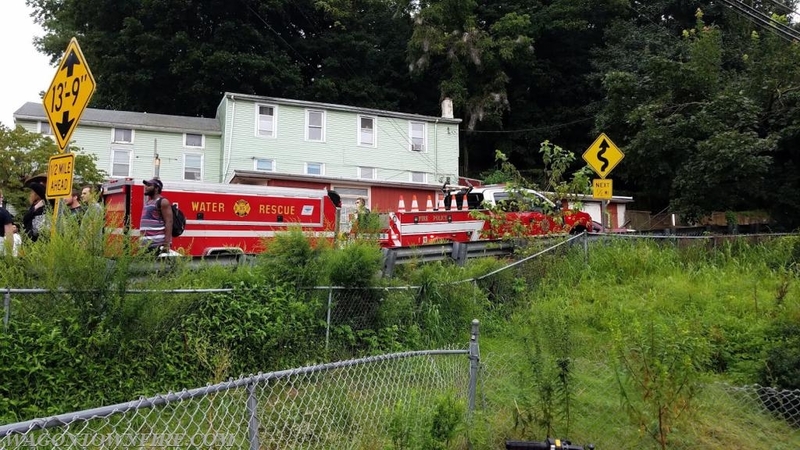 Crews were able to gain access to the rear of the daycare which was high and dry and the students and staff were evacuated out of the building and walked down the tracks to the waiting EMS units. 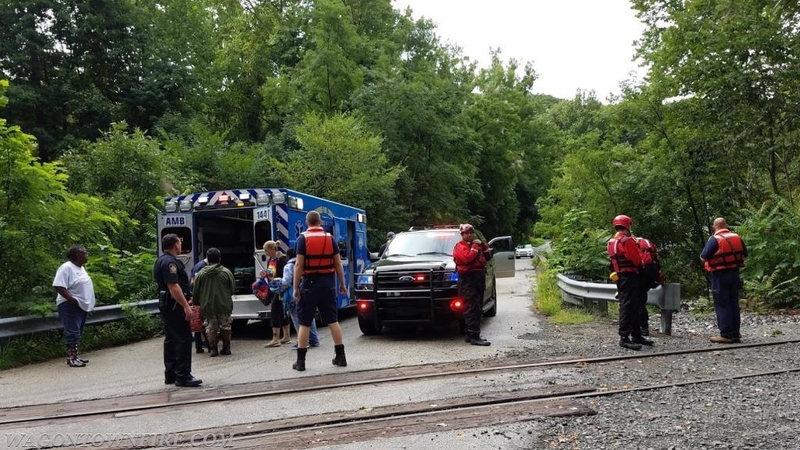 Great work by all involved found a quick, safe and effective resolution that allowed the children to united with their parents once they were transported back over to the Wagontown Road side. 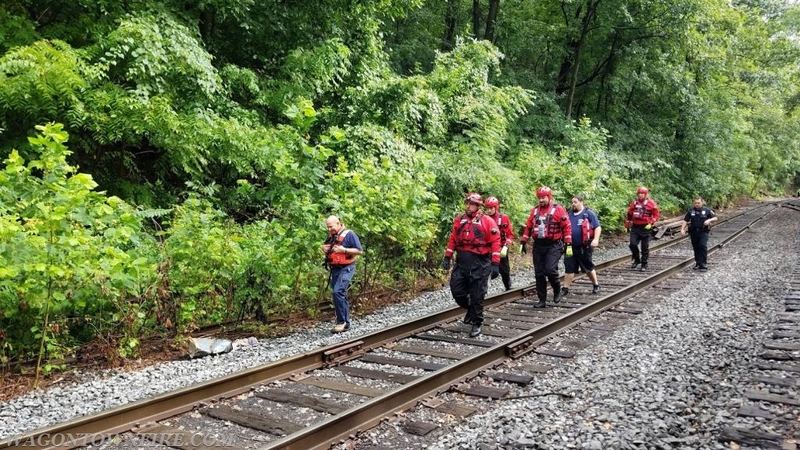 Then at 10:56 hours we were again alerted to assist the Honey Brook Fire Company for a water rescue in the 700 Block of Park Rd. 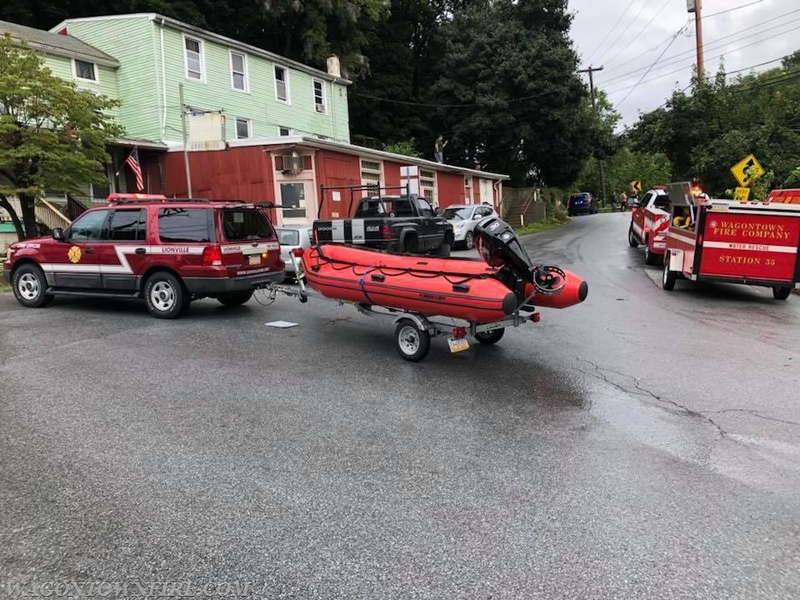 Units again responded and arrived onscene to deploy the boat. 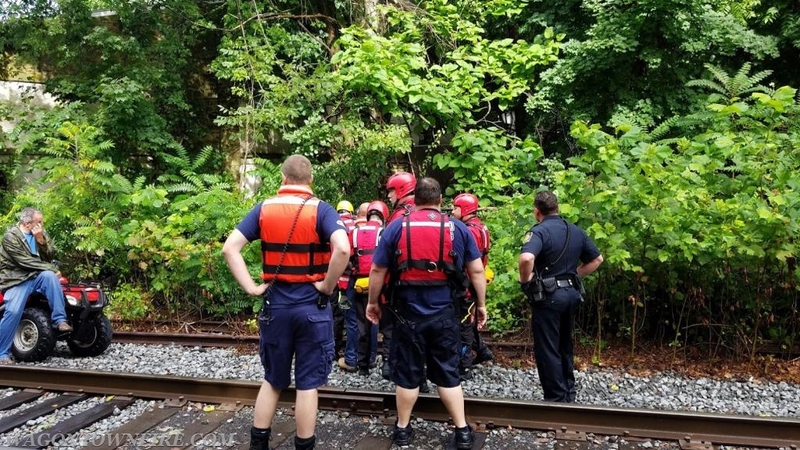 Crews walked to the vehicle and removed the three occupants who were safely brought back to dry land. 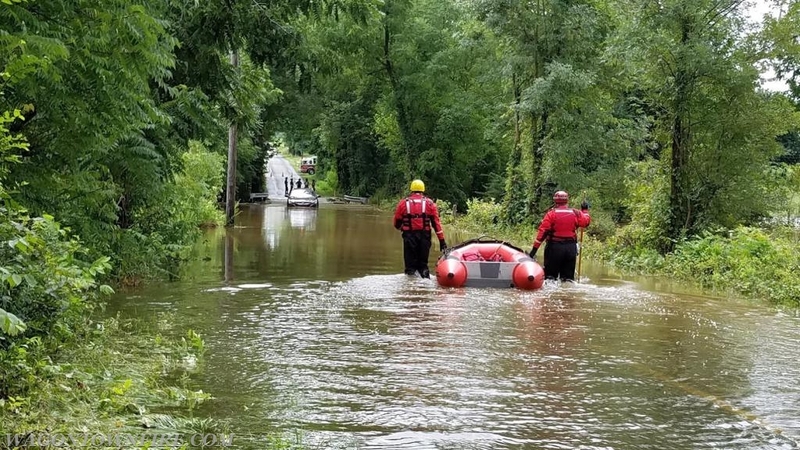 Crews then returned to the station to service equipment, dry the suits and restore everything back to the ready conditions. 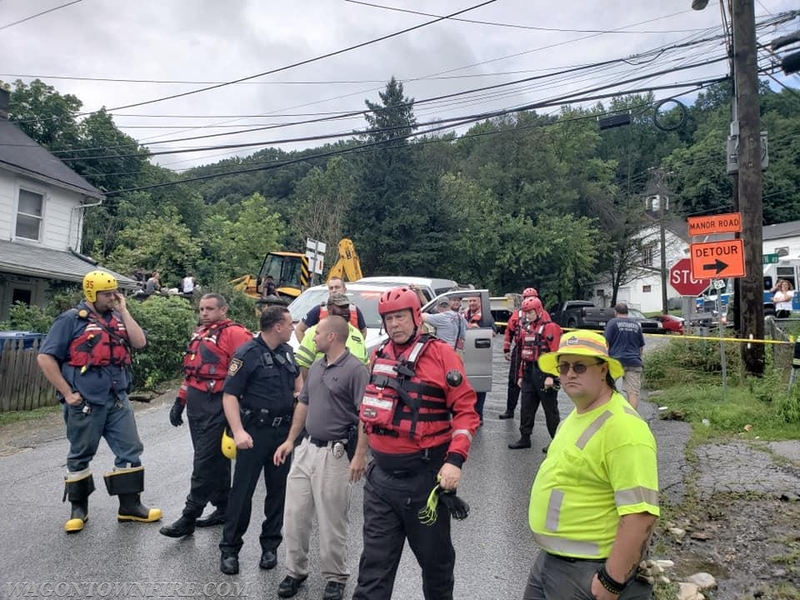 Mutual Aid: 44 (Westwood), 33 (Honey Brook), West Caln PD, Valley PD, West Caln and Valley Twps. 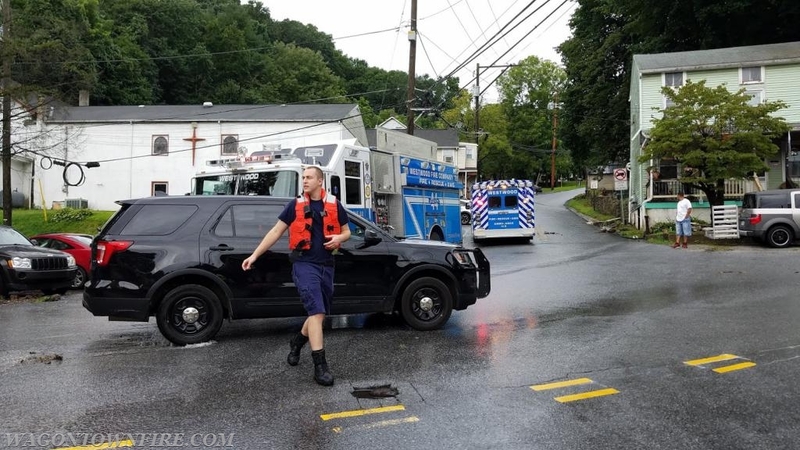 PSP Embreeville, Honey Brook Boro PD.